Paula Ferazzi Swift owner of Paula Swift Photography, Inc. is honored by peers and jurors for high-quality photography. 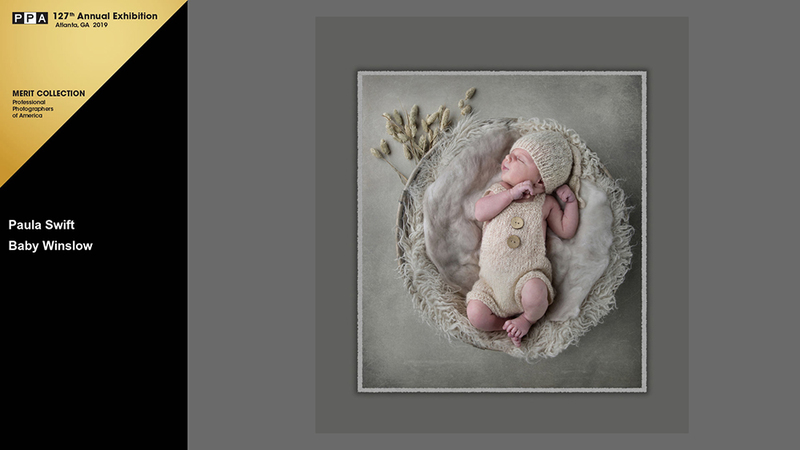 Framingham, Massachusetts – Paula Ferazzi Swift a Framingham resident and owner of Paula Swift Photography, Inc. studio in Sudbury, Mass was named a Bronze Medalist during Professional Photographers of America’s 2018 International Photographic Competition. Swift’s work will be on display at the Georgia World Congress Center in Atlanta, Georgia, Jan. 20-22, 2019. This International Photographic Exhibit is held in conjunction with Imaging USA, an annual convention and expo for professional photographers. A panel of 32 eminent jurors from across the United States selected the top photographs from nearly 5,073 total submitted entries at Gwinnett Technical College in Georgia. Judged against a standard of excellence, 2,622 images were selected for the General Collection and 513 (roughly 10 percent) were selected for the esteemed Loan Collection—the best of the best. The Loan Collection images will all be published in the much-anticipated “Loan Collection” book and 365 selected General Collection images will be published in the “Showcase” book by Marathon Press. 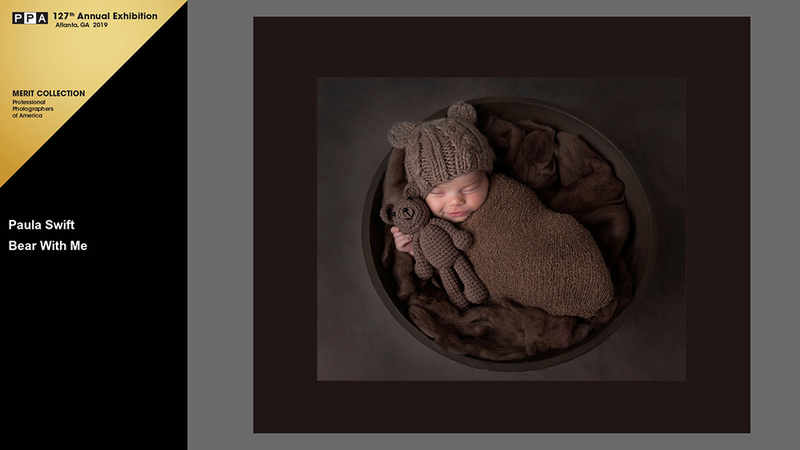 Two of Swift’s award-winning images were selected for the Showcase book; “Bear With Me” and “Blossom”. The level of the award is determined by how many of those four images receive the highest possible honor: acceptance into the PPA Loan Collection, which is displayed at photographic exhibitions, conventions and other photography events. 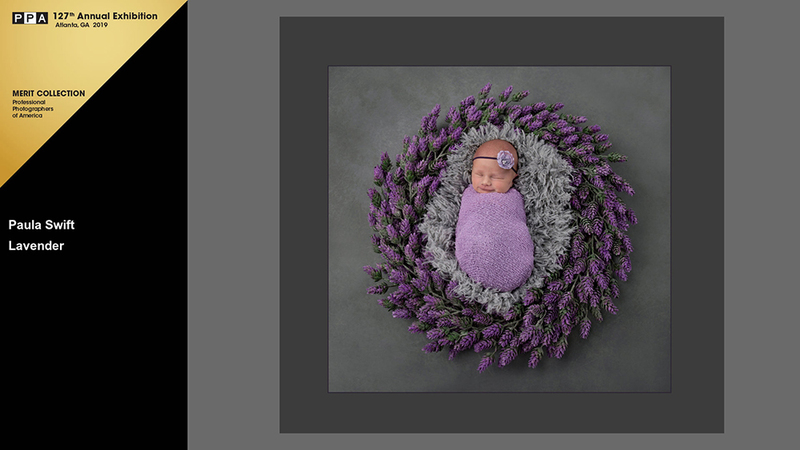 Swift was named a Bronze Medalist by earning a merit—a mark of quality and honor—for each of the four images included in her entry case to the International Photographic Competition. This is the most prestigious competition of its kind, where images are judged based on a standard of artistic excellence, not against each other. The images are judged on 12 elements: Impact, Technical Excellence, Creativity, Style, Composition, Presentation, Color Balance, Center of Interest, Lighting, Subject Matter, Technique and Storytelling. About PPA: Professional Photographers of America (PPA) is the largest international nonprofit association created by professional photographers, for professional photographers. Almost as long-lived as photography itself, PPA’s roots date back to 1869. It assists 30,000 members through protection, education and resources for their continued success. See how PPA helps photographers be more at PPA.com. About Paula Ferazzi Swift: Paula has been a professional photographer since 1995. First as a staff photographer at the Worcester Telegram & Gazette in Worcester, Mass for 10 years. During that time she started her own portrait photography business in 2004. Her first studio was in Framingham, second one in Wayland for a short time before moving to her current studio at 730 Boston Post Road in Sudbury, Mass in 2013. Swift is a Master Photographer, Photographic Craftsman and Certified Professional photographer through the Professional Photographers of America (PPA). 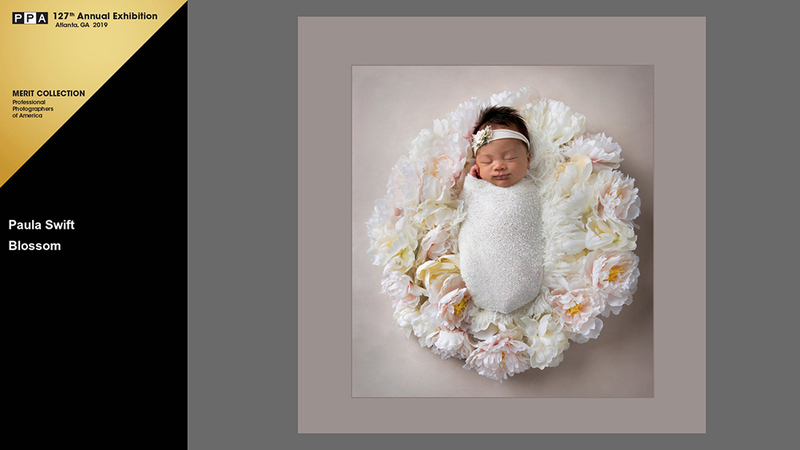 She also holds two college degrees in photography as well as teaches photography workshops on newborn and storytelling photography in her studio in Sudbury and throughout New England. In May 2017, Swift published her first book titled Storytelling Portrait Photography – How to Document the Lives of Children and Families. Her book is available internationally on Amazon, in Barnes & Noble and in book stores throughout the United States. Contact: Paula Ferazzi Swift owner of Paula Swift Photography, Inc.